GAITHERSBURG, Md., February 1, 2018 /3BL Media/ – Rainbow bagels, unicorn food and milkshakes as big as a person’s head are so yesterday. What will be on plates over the next 12 months? 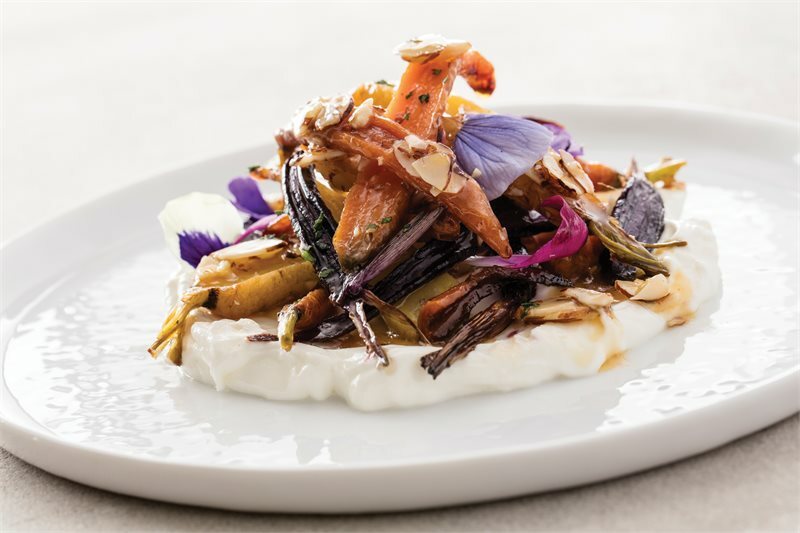 As 2018 arrives, culinary leaders at Sodexo, the leader in Quality of Life Services, have named their food trends for the year. Kevin Cecilio, Sodexo’s senior director, culinary innovations, believes these five trends will be on the table over the next 12 months. Beyond standard recycling, people will focus on reducing food waste by eating parts of foods that have previously been discarded. These include pickled watermelon rinds, beet green chimichurri and vegetable slaw using broccoli stalks. Cecilio expects diners to eat more plants and grains. While dishes may have small amounts of animal proteins and dairy, the vegetables are the true star. This is different from vegetarian or vegan dishes. These meals show that vegetables are no longer just sides. Chefs are also using these ingredients in unusual ways such as matcha (made from green tea leaves) glazed doughnuts. Fermented foods have been known for their health benefits and contain probiotics and enzymes that are important for digestion. Now they are finding their way onto the tables of foodies everywhere. Whether it’s kefir, kombucha tea, miso, sauerkraut or even pickles, fermented foods are a healthy and delicious trend that will take hold in 2018. Agriculture can take its toll on the environment so some are turning to non-grain sustainable proteins that are both good for the body and the environment. Cricket powder and algae are just two examples of this trend that could see big gains in popularity in 2018. Cuisine from Israel, Morocco and the Philippines lead this year’s trends list. The food of these three countries range from the Spanish and Asian influences in Filipino cooking to the bouquet of spices that make up the flavors of Moroccan dishes to the fusion of native Israeli ingredients with the dishes brought to the country by immigrants fleeing Eastern Europe after World War II. Sodexo USA is an American business that is part of a global Fortune 500 company with a presence in 80 countries. Delivering more than 100 services across North America that enhance organizational performance, contribute to local communities and improve quality of life, Sodexo is a leading provider of sustainable, integrated facilities management and food service operations. It employs 123,000 Americans at 12,500 sites across the country and indirectly supports tens of thousands of additional U.S. jobs through its annual purchases of $9.2 billion in goods and services from small to large American businesses. In support of local communities across the U.S., Sodexo Stop Hunger Foundation has contributed more than $29 million since 1999 to help feed children in America impacted by hunger. Visit Sodexo North America online and on Facebook, Twitter, Instagram and Linkedin.